Innovative Lifesciences Pvt Ltd is supplier, merchant exporter, Manufacturer and service provider of Pharmaceutical Finished Formulations. We provide wide range of products including Tablets, Capsules, Soft gels, Syrups, Dry syrups, Injectables & Derma Products. 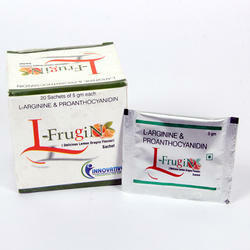 Innovative Lifesciences, has marked its existence in the year 2012, and known for offering high quality Pharma Products. Following innovative measures at our production unit, In order to achieve perfection, we have adopted latest & modern production techniques at our state-of-the-art infrastructure. The composition of all our medicinal products is at par with the industrial norms, and they are absolutely safe to use. Also, medicines offered by us are used in different medical practice to cure a number of critical illnesses. At the various stages of production, we have provided all the necessary facilities so that every step should be flawless & error free. While preparing these pharma products, our team of research & quality professionals maintains top quality standards throughout the process & they all are expert in their respective domain. However, we do conduct special training sessions to keep our staff updated with latest trends. Laced with all these facilities, we have become the premier choice of our clients and can easily face any sort of challenges that comes in our way. We solicit your partnership with our company as PCD franchisee/distributor basis for our company in your respective area. We offer excellent product mix, attractive packing along with decent margins. Please feel free to contact the undersigned for any further enquiry. 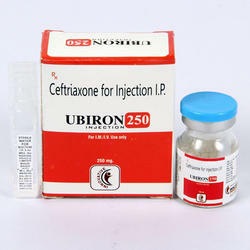 We are famous for providing a broad collection of Pharma Franchise In all districts of India. Our experts are implementing the latest technology to present clinically proven formula for medicines. In addition to this, we are offering pharma franchise on the monopoly basis. Also, we provide effective customer support. 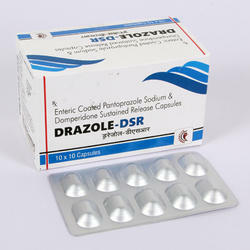 Drazole DSR (Pantoprazole 40mg + Domperidone 30mg) is used for Gastric ulcer, Treatment for intractable nausea and vomiting, Gas, Gastrin-secreting tumor, Treatment for symptoms associated with idiopathic or diabetic gastroparesis, Esophageal mucosal injury, Heartburn, Small intestine ulcer, Vomiting, Fullness of stomach and other conditions. We are counted as consistent firm actively involved in offering Pharma Franchise In India. We give only the preference to highly experienced professional. 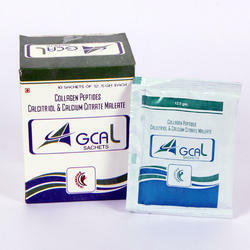 Also, our customers can buy these offered pharma products from us at reasonable prices. Apart from this, we provide products as per client need. To fulfill the ever-changing demands of our customers, we are highly engaged in offering Pharma Franchise in Meerut in the market. 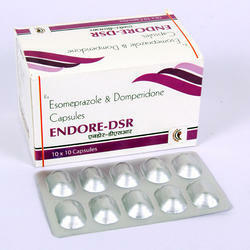 Offered pharmaceuticals products are composed by chemists using quality tested components. These are offered at very reasonable rates. Additionally, offered products have leak free packing.